By now, you’ve probably got a clear view of what your baby’s moves considering those playful kicks and jabs. There’s no better time than now to start finalizing the details such as checking out a few day cares and stocking up on baby care essentials. Furthermore, you may also want to start packing a bag with the things you will need at the time of your delivery. 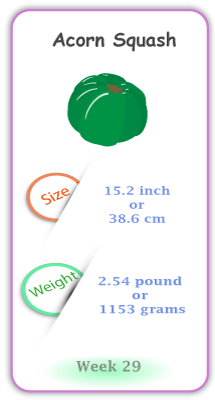 In terms of size, your baby when you’re 29 weeks is as big as an acorn squash, and will triple in weight before birth. So you’re bound to feel the effects such as pelvic pain, heartburn, frequent urination and even hemorrhoids. Pain in these areas is expected given that your body is carrying around the extra weight. The pain at times may get severe depending on your baby’s position. And if you’re expecting twins, these pains may feel a bit more severe, but speak to your doctor if they are unbearable. This is caused due to your skin stretching to accommodate your growing baby. To get some relief from the itching, drink lots of water and apply skin lotion. In addition, keep your doctor in the loop about any intense itches or rash. 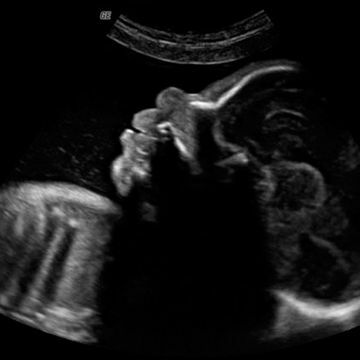 Again, this is caused by your growing baby applying pressure. Speak to your doctor about what medications are safe for you. You may feel the need to hit the washroom more often and this is mainly caused by your uterus expanding. This doesn’t mean that you cut short your water supply because you need to be well hydrated all through your pregnancy. Caffeine is not the solution, but you definitely will get some relief by drinking lots of water and performing light exercises. The typical weight gain when you’re 29 weeks pregnant is between 18 and 25 lbs. Of course if you’re pregnant with twins, your belly is going to get bigger hence the extra weight gain somewhere between 22 and 38 lbs. At this stage, you may experience constant kicks owing to your baby feeling a bit overcrowded and surging energy levels. Contrarily, if you haven’t felt your baby move in a while, you can try playing some music, drink some ice water or lie down on your side for a relaxing massage. If you’re worried about fetal activity at any time, contact your doctor immediately. 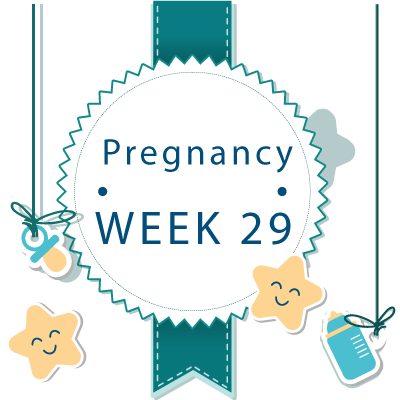 29th Week Pregnant Ultrasound - What to Expect ? Sorry to break it to you, but the chances of having an ultrasound at week 29 is slim to none. But if you could take a peek inside your belly, you would see that your little munchkin is growing pretty fast. If you’re having twins, you will notice a thin line aka membrane forming between the babies. Furthermore, you will also notice your baby growing fat deposits under its skin, owing to which their energy level is rising. At 29 weeks, your baby is as big as a butternut squash and weighs roughly 2.54 lbs and measures 15.2 inches. Your baby’s muscles and lungs continue to get bigger & mature and head is growing to accommodate its developing brain. To cater to your baby’s nutritional demands, you will need plenty of vitamin C, protein, iron and folic acid. And considering your baby’s bones are starting to get stronger, you should be drinking a good amount of milk for a surge in calcium. Educate yourself on third trimester tests.